Waste management in the SAARC countries has occasionally been raised as an area for regional co-operation. It fits in with other more pressing regional concerns such as environmental degradation, food safety, power generation, poverty alleviation and trans-boundary technology transfer. The Dhaka Declaration on Waste Management of 2004, for example, recognises the environmental imperative to promote more effective waste management systems ‘with special attention to addressing the needs of the poor’. Similarly, the SAARC action plan on Climate Change of 2008 listed waste management as an area for nationally appropriate mitigation actions where regional sharing of best practices could be useful. The 2010 convention on co-operation on the environment, also included waste management among a list of 19 areas for the exchange of best practices and knowledge, and transfer of eco-friendly technology. However, these commitments have rarely turned into concerted action. Effectively tackling the growing waste management crisis has not proved easy for most municipalities. 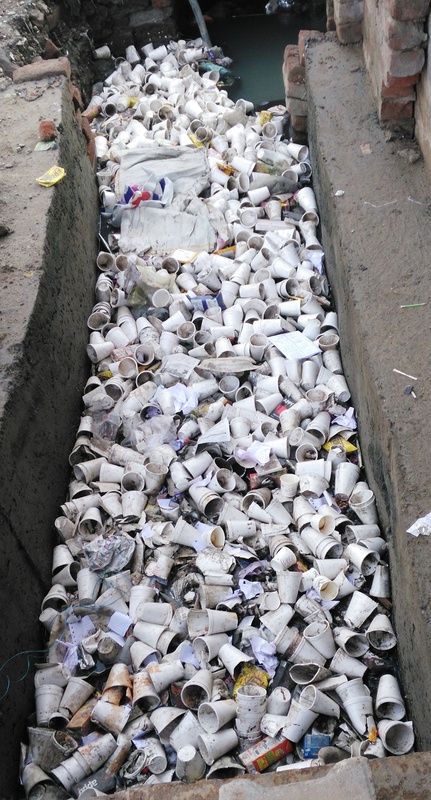 Their capacity to cope has not kept pace with the increasing quantities of waste generated, and yet waste management can be one of the biggest costs of municipal budgets. Often they are able to collect waste only from limited areas of their towns. For the South Asia region, waste collection rates are on average 65%, with wide variations between towns. At the same time, there is often a very active recycling system through waste pickers and the informal sector, involving large numbers of poor people. Large schemes to recycle, separate and produce useful end-products such as compost have often run into problems if they relied too heavily on donor inputs. Once these were phased out they failed to generate sufficient income from sales to be sustainable. Two global agreements signed in 2015 may help to raise the profile and stimulate greater action on solid waste management. First, the Sustainable Development Goals which include a goal focused on cities and sustainable urban development. Within this, target 11.6 is to “by 2030, reduce the adverse per capita environmental impact of cities, including by paying special attention to air quality and municipal and other waste management”. This is the first time a global agreement of this sort has included commitments on waste management. Second, the Paris Climate Agreement, with a number of South Asian countries including better management of urban waste as part of their Intended Nationally Determined Contribution. 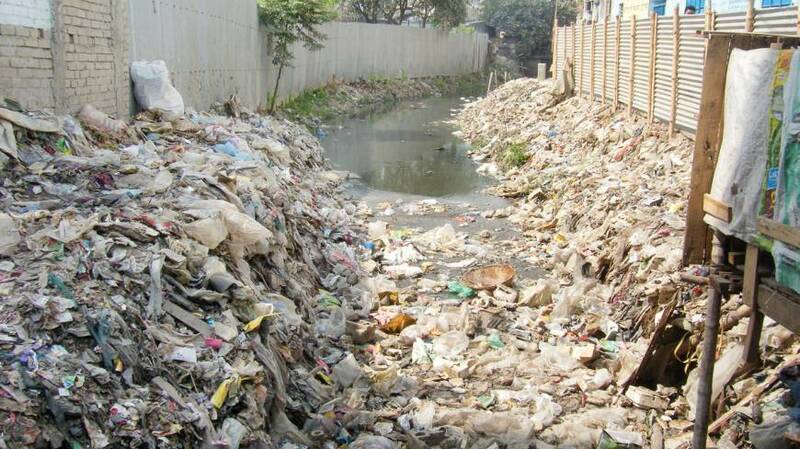 Solid waste management is already a significant concern for municipal governments across the South Asian region. It constitutes one of their largest costs and the problem is growing year on year as urban populations swell. And yet it is an area that has not received the attention it deserves from policy-makers. There are signs this may change, with its inclusion in the SDGs and in many INDCs which are the basis of the Paris Climate Agreement. Practical Action is an international non-governmental organisation (NGO) that uses technology to challenge poverty in developing countries. We find out what people are doing and help them to do it better. Through technology we enable poor communities to build on their skills and knowledge to produce sustainable and practical solutions- transforming their lives forever and protecting the world around them. Practical Action is working through country and regional offices in Bangladesh, East Africa (Kenya and Rwanda), Latin America (Peru and Bolivia), South Asia (Nepal, India and Sri Lanka), Southern Africa (Zimbabwe, Malawi, Zambia and Mozambique), Sudan, West Africa. Our works are organised under four programme themes: Sustainable energy access, Food and agriculture, Urban water and waste, Disaster risk reduction. Tagged Dhaka, environment, INDCs, Recycling, SAARC, SDGs, South Asia, Urban, waste, Waste Management. Bookmark the permalink.